Respect your countertop and it will stay young forever. To do that, you will need to know what’s best for it to remain like it was on the first day. 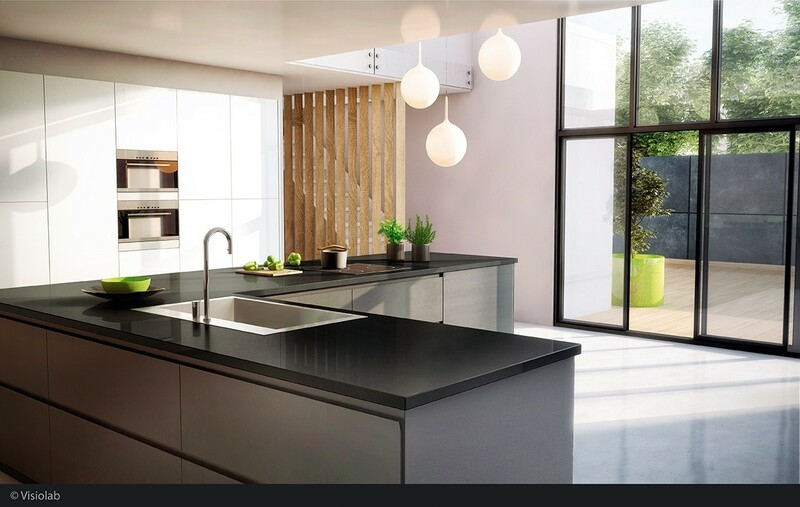 Here are the fundamentals it’s time to check out if you want to be your worktop’s best friend. Basic cleaning: use either a wet sponge with soap, denatured alcohol or a window cleaner. Rinse well and dry with a soft cloth. 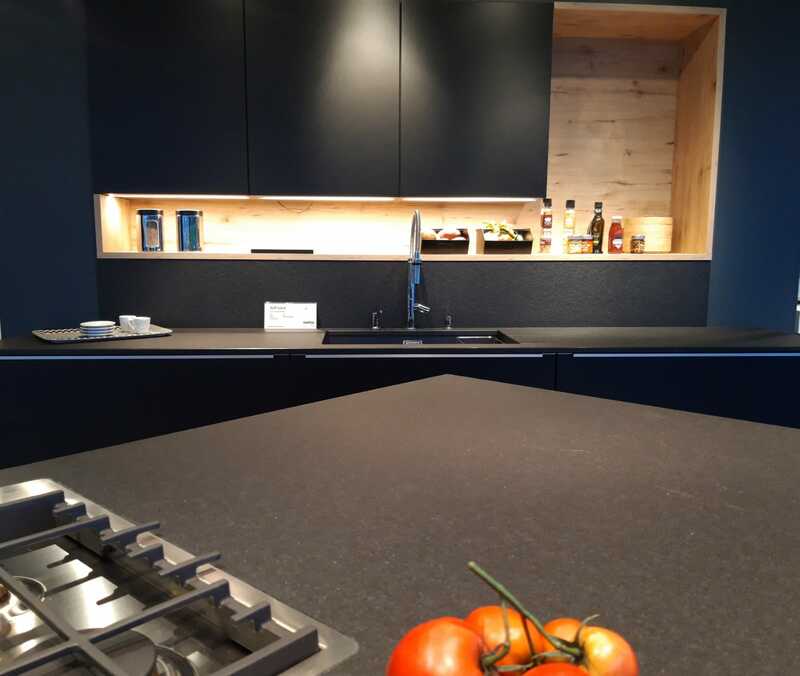 Heavy stains: you will receive a universal stone (Pierre d’Argent®) with your countertop. Keep it safely, this 100% natural product works miracles. Put a bit of product on a sponge (not directly on the worktop as it would grease it) and clean the surface in a circular motion. Rinse well. The stain is gone. Limescale, especially around the tap: use white vinegar or a specific product against limescale (diluted). Food that stains is welcome: your countertop will resist the ingredients commonly used in the kitchen. Wine, lemon, vinegar, coffee, fruit juice and alike will not leave persistent stains after you have cleaned. 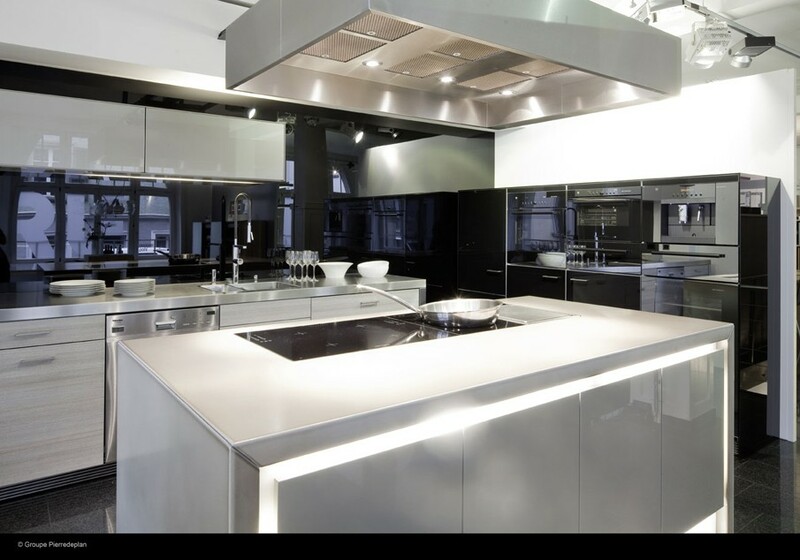 Be careful with high temperatures: our quartz resists high temperatures. However we advise remaining cautious with extremely hot pans that could damage it. In doubt, use a trivet for very hot pans, fryers, pots or anything heated with induction plates. Avoid scratches and impacts: use a chopping board to avoid damaging your knives or your countertop when you have to chop intensely or bone meat. Avoid thuds or falls from heavy objects as they might cause shards. The most sensitive areas are the ridges of the edge: be extra cautious to avoid impacts near the sink and the dishwasher. Ban aggressive products: be very careful not to use alkaline products such as ammonia, solvents, cleaning solvents, detergents or any other aggressive industrial chemical product (including bleach, trichloroethan or dichloromethane). 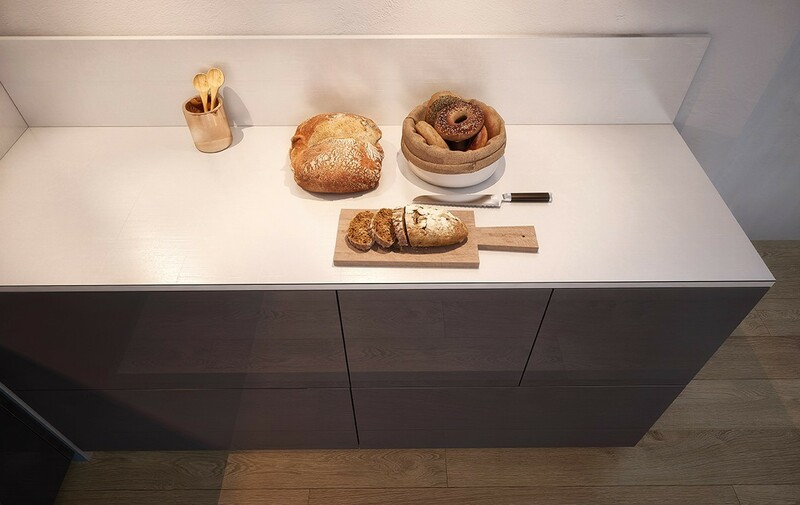 Heavy stains: You will receive a universal stone (Pierre d’Argent®) with your countertop. Keep it safely : this 100% natural product works miracles. Put a bit of product on a sponge (not directly on the worktop as it would grease it) and clean in a circular motion. Rinse well. The stain is gone. High temperatures are fine: thanks to its exceptional minerality, Plancéram ceramic resists extremely high temperatures. So fear not, you can definitely put a hot pan on it, even if it was heated with oven or hyperboost device. Don’t fear scratches: ceramic is an extremely resistant material so you can use it daily without risking scratches. Simply avoid cutting with ceramic knives on the surface, for they can induce scratches. Avoid impacts: avoid thuds from heavy objects and mincers as they might cause shards. The most sensitive areas are the ridges of the edge: be extra cautious to avoid impacts near the sink and the dishwasher. Basic cleaning: use either a wet sponge with soap, denatured alcohol, acetone or a window cleaner. Rinse well and dry with a soft cloth. For heavy stains: you can use standard cleaning products without worrying, including bleach, window cleaners and multi-use sprays. Avoid abrasive products that could scratch the surface. For metallic stains or heavier stains, use a cream cleaner and water. High temperatures are fine: thanks to its exceptional minerality, our enameled lava Pyrolave resists extremely high temperatures (over 572 F°). So yes, you can definitely put a hot pan on it. Don’t fear scratches: enameled lava is an extremely resistant material so you can use it daily without risking scratches. Simply avoid cutting directly on the surface when cutting resistant pieces such as vegetables or meats. With time, the rubbing of kitchen utensils (pans, pots and so on) on the surface might cause micro-scratches to appear or areas to lose their shine. This is a normal aging phenomenon and not a manufacturing default. Avoid impacts: avoid thuds or falls from heavy or sharp objects as they might cause shards. The most sensitive areas are the ridges of the edge: be extra cautious to avoid impacts near the sink and the dishwasher. For heavy stains: use a Cif® like cream cleaner with a soft sponge. Rinse with tepid water and dry with a cloth. For a very resistant stain, you may use the scrubbing side of a sponge, softly, with water and a cleaning product. BEWARE : DO NOT USE A NATURAL UNIVERSAL STONE SUCH AS Pierre d’Argent®. High temperatures are fine: thanks to its exceptional minerality, Naturaplan resists extremely high temperatures (over 572 F°). So yes, you can definitely put a hot pan on it. Avoid scratches and impacts: use a chopping board to avoid damaging your knives or your countertop when you have to chop intensely or to bone meat. Avoid thuds or falls from heavy objects as they might cause shards. The most sensitive areas are the ridges of the edge: be extra cautious to avoid impacts near the sink and the dishwasher. Basic cleaning: use either a wet sponge with soap or a soft cloth and rinse well. For heavy stains: use a white spirit like organic solvent, rinse well and dry with absorbent paper. Make sure you respect the safety instructions for the product you use. Limescale or water stains, especially around the tap: use white vinegar or a specific product against limescale (diluted). Not sure about a specific stain?Better cautious than sorry! Just ask us if you have the slightest doubt and we will be glad to know we have saved your worktop. 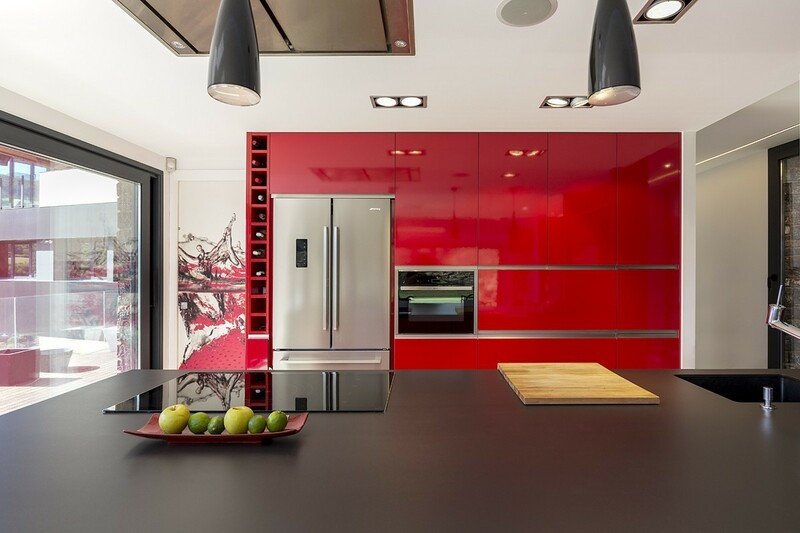 Be careful with liquids and food: although your countertop is more resistant than laminate worktops, make sure you clean it rapidly after use and avoid extended contact with wine, tea, vinegar, coffee, fruit juice or certain chemical products… Avoid leaving spilled water or other spilled liquids on the surface. Avoid high temperatures: never put a dish coming from the oven or heavy pans directly on the countertop and always use a trivet. Avoid scratches: never cut anything directly on the surface with a knife, always use a chopping board. Glossy worktops require special care. Avoid letting utensils or dishes slide in the surface to avoid scratches. Be very careful with the cleaning products you use: never use abrasive products (scouring powder or steel wool), or bleaching agents. Avoid furniture wax too, for it would grease the surface. Never use cleaning products containing strongs bases, acids or their salt (products against limescale, chlorhydric acid, drain clearing products, silverware products…). Always place a protection between the coffee maker and your worktop during a descaling process, and make sure you clean the area that might have received projections at the end.